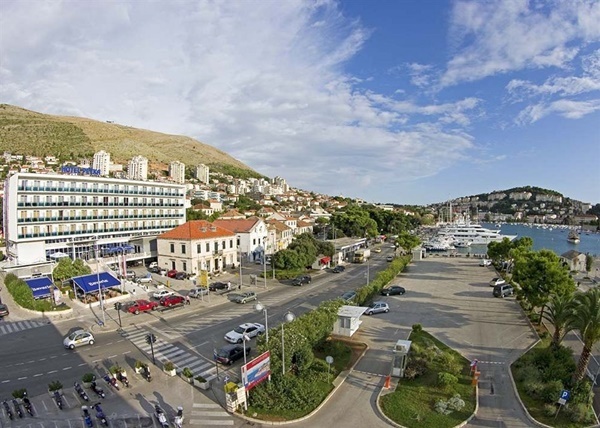 Hotel Petka is situated just opposite Dubrovnik's ferry and cruise port in Gruz neighbourhood. Just within short walk from the hotel you will find tourist office (Dubrovnik City card can be purchased here), travel agencies, currency exchange office, rent a car office, big supermarket, green market, souvenir shops, banks etc. Near the hotel there are several restaurants with great offer. Hotel Petka is ideal for those wanting to spend relaxed holidays in Dubrovnik and those who just need a place to sleep over in Dubrovnik and continue their travel to other destination. Main bus station is located only 5 minutes walk from the hotel (airport shuttle bus arrives/departs from here). There are no beaches in the near vicinity of the Hotel Petka but you can easily reach Lapad bay beaches taking city bus No. 7 at the bus stop in front of the hotel. At the same stop you can take city buses (No. 1A, No. 1B, No. 3) to reach Dubrovnik's Old Town. Hotel Petka offers accommodation in 104 guest rooms, consisting of 8 single rooms, 92 double rooms and 8 triple rooms. Most of them has a spectacular views of Gruz bay and Lapad peninsula. Guests of the hotel can enjoy at two restaurants: the main hotel restaurants and a la carte restaurant "Nostromo". 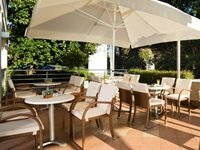 Hotel's bar is located at the reception and has 60 sitting places inside and 100 sitting places on the terrace overlooking the Gruz harbour. This hotel has a jacuzzi, sauna and fitness centre. Free wireless internet is available in all areas (free of charge). Petka meeting lounge with 70 seats - ideal for small meetings. The hotel offers a garage and car park that may be used by guests for free of charge. Hotel Petka is situated just across ferry and cruise port in the neighbourhood of Gruz. This hotel has its own parking space which is avaliable for all guests arriving by car. If you are arriving by plane and taking an airport shuttle bus you should get off at the last stop - main bus station. From there you will need only 10 minutes on foot to the hotel. The easiest way of getting from the airport to the hotel is booking a private car transfer. It is very easy to reach Old Town from the bus stop in front of the hotel (buses no.1A, 1B, 3) as well as beaches in Babin Kuk and Lapad (bus no.7).